If you’re looking for a way to help you stand out to potential employers or you would like to prove your valuable SolidWorks skills to solidify your current position, you will find information about the Certified SolidWorks Professional Exam below, as well as the preparatory materials needed to be successful. Lack of preparation: Research now shows that the lack of natural talent is irrelevant to great success. The secret - Painful and demanding practice and hard work. Not paying attention to the question: Read carefully and understand the question first. Pay attention to radius and diameter. Do not make it difficult to update: Use Global variables or Design table. Use many sketches and features: Avoid many sketches, use contour selection. Once a SolidWorks user passes the CSWP – Core exam, they are eligible to join the LinkedIn group Certified SolidWorks Professionals. In my case, the real benefit is the learning experience and the self-confidence I developed after receiving my CSWP. Want to try out CSWP? Watch for our next blog to be eligible to receive a free exam code. 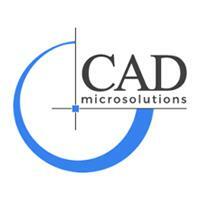 If you have any questions about the new CSWP exam, please contact us at solutions@cadmicro.com.